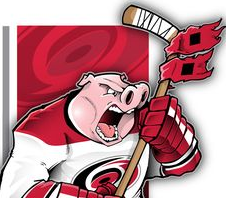 After an impressive third period effort in Ottawa on Tuesday night, the Carolina Hurricanes (29-22-6) will look to continue momentum as they host the Edmonton Oilers (24-27-6) on Friday night at PNC Arena. 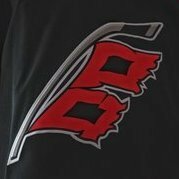 The Canes completed a daunting road trip with a 4-1 record against worthy opponents, and will be on home ice for the first time since the February 1, 2019 victory over the Vegas Golden Knights. 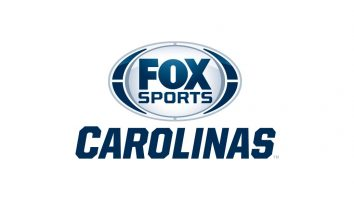 This is the first of a three-game home-stand for Carolina. The recent road success was trademarked by inspired offense, gritty endurance, stubborn defense, and overall smart team-play. 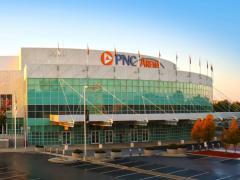 It led to two shutouts in buildings that have historically given the Canes problems (primarily Madison Square Garden). The trip was capped by a 4-1 win in Ottawa, in which Carolina dominated the final frame en route to what appeared in the scoring column to be an easy win. Nothing has come easy for Carolina this year though. This will be the second and final meeting between the two clubs. The Hurricanes pounded the Oilers on January 20, 2019 by a 7-4 score at Rogers Place. Canes newcomer Nino Niederreiter made a huge splash in that game by scoring two goals and earning 3rd star. Edmonton is coming off a 3-1 setback in Pittsburgh on Wednesday night. 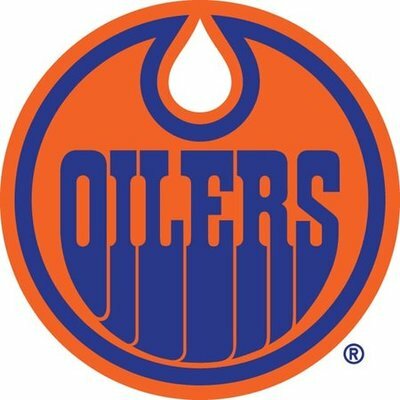 The Oilers are led by Conner McDavid (31 goals/51 assists/82 points total) and Leon Draisaitl (33 goals/34 assists/67 points total). "We've had some good last periods. We're trying to keep those good habits and keep believing in our game. We don't have to do anything special,"
For those of us who have endured the third period collapses time after time, this result and attitude is refreshing to see. great gdt, keep the metal to the medal canes. Sneaky Pete in net? It is such a shame the oilers were fortunate to get all of those 1st overall 1st round picks , for crying out loud they even got connor mcjesus and their management is about as bad as the islanders were when milbury was running the show as their gm . the nhl is lucky they didnt get yzerman to help build that club or else this would be a toughie of a game . And the all important question will they ever reach god hood like the lightning has ? who knows . one thing is for sure when mcdavid becomes a ufa after many many years i wonder if his stock price will be too much for teams like carolina to afford ? This time of year every game is tough, example Sens game. Score more than they do, guys. Low and behold, home teams still tend to win these games, and almost the same percentage as any other game. And in fact, the percentage was worse coming back from a single game, which barely qualifies as a trip. If those single game road trips were taken out, teams actually won a tiny tick more often after a road trip. So many "truisms" out there, just aren't true. I've been holding onto to that one for a long time. What is sort of amusing is that teams actually did the best after a 5 game road trip. Which is exactly what we just finished. Better chance of winning the game after a 5 game trip than just coming back from one away game. The biggest spread in fact. And better chance of winning first game back after a 5 game trip, than just winning a normal home game. So maybe not the trap game afterall....I don't know. It still might be a bit of a trap in that they did so well and could look past the Oil. But I'm feeling a bit better about maybe seeing a surge tonight! But really, so long as we are climbing the hill, we need to just keep getting two points over and over at least until we are on the other side of the line, including beans. Maybe they just leave RNH here after the game? Or even better Draisaitl? Never know..
As much as I wish otherwise, I see RNH as a long shot given the Oil's severe lack of depth up front. Drai? We pretty much know that isn't happening, lol. Unless perhaps if we'd be willing to put Aho or Slavin on the table, and I don't see that happening. True. But I still occasionally buy lottery tickets. Not really a serious thought. But we have been linked with the Oilers for a long time. Seems likes such a natural trading partner. A few years ago, it sure seems we could have had RNH pretty easily. But his value has gone up. We could never have had Draistail, but a guy can dream. The notion that they'd be cap strapped made it seem distantly possible, but then so did that same idea with Toronto and Nylander. Thinking out rem your stats on games following road trips, and wonder if this might explain the 5 game stat vs 1 etc. It would seem to this occasionally confused mind, that single game away is disruptive to routine, while the longer on a trip away from home allows, if not encourages, more bonding time? Ergo, on return after the longer away trips, the team has more cohesively? Just a thought. On the suggestion that Edmonton leave a player here, RNH or Draw, I am curious how often that occurs? Wouldn't it be nice though? I'd much rather us deal with the Oilers than Maple Leafs. anyone have any ability to telepathically brainwash the oilers gm to get them to trade mcdavid to us on loan for about 10 years ? get back to me if you know a guy or two ! Time to get Jiggy with the Piggy! Let's score some goals and bank 2 more points!! WOOOOOOOOOOOO!!!! Not sure about the different number of games thing, but if it's real, your idea is as good as any. Over the years I've tried to account for why that first game back is a loser. Turns out, it's not. So what do I know? The theory used to be that guys just relaxed finally getting home cooked meals. Other theory that real life sets back in. But of course a theory for why a thing happens loses a lot of credibility if that thing doesn't actually happen. But it has to be extremely rare. Reports that any extra scouts are going to be in the house tonight? Anyone heard? Heading out to Raleigh. Looking forward to McE in the pipes. Keep rolling! I'll try to watch Puljujarvi, but that guy is a project, and skates weird. I don't give up much to roll that die. Go Canes! Get it done! Just say NO to Puljujarvi. Hoping Edmonton had a nice light lunch of Fried chicken, BBQ,hushpuppies and gallons of sweet tea. Nice pecan pie with whipped cream. I was more than happy to buy it for them. Edmonton - Carolina is one of my fav matchups. Let’s start fast and furious and get it done. Go Canes! Such a big weekend for the Canes. Gotta put the foot down and get the 4 points in my opinion. I expect a big game from Svechnikov tonight.